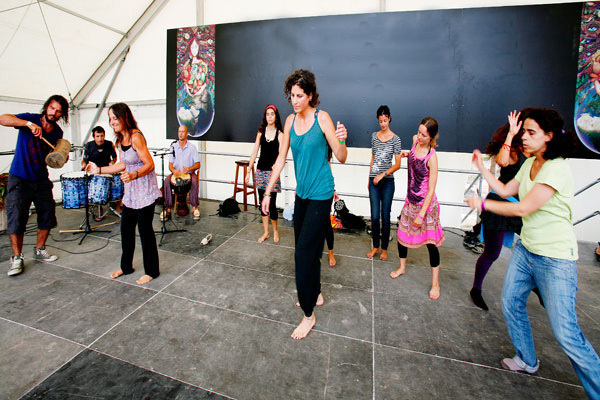 SpiritDance is a simple yet powerful way to integrate and re-balance our physical, mental, emotional and spiritual bodies. It is not not new at all; it is an ancient practice, common to all indigenous peoples from immemorial time. 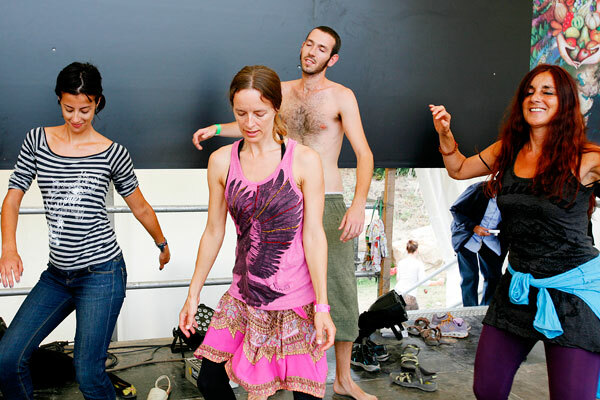 It is a celebration of life and the life force itself, at once dynamic and meditative, a reconnection to our essential, true nature. 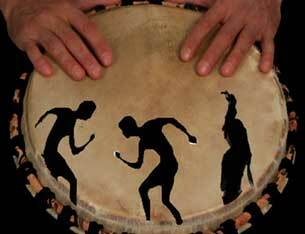 AS WE MOVE AND BREATHE TO THE RHYTHMIC PULSE OF BEATING DRUMS, BODY, MIND AND SPIRIT BECOME ONE. 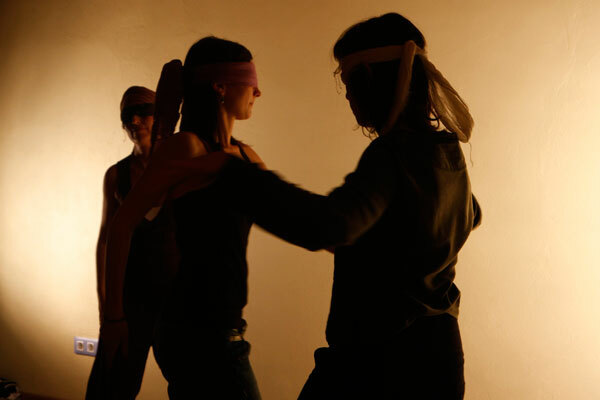 In order to make easy the listening and the spontaneous expression, we will move with eyes closed and a blindfold. This way, everybody can listen, breathe and open to new dimensions and preceptions. 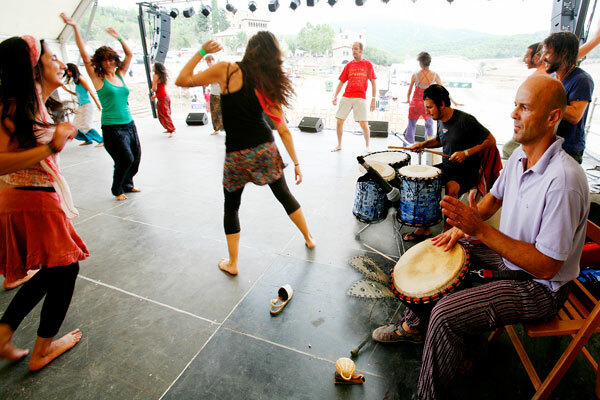 The drums help to step into the present moment and connect with what is bigger than us. Listening to percussion music helps to embody and to balance the brain hemispheres, increases sensibility, musical emotion and vital energy. WHOM IS THIS WORKSHOP FOR ? 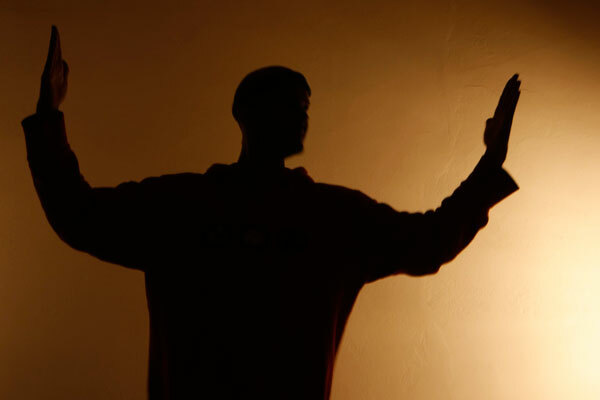 SpiritDance is for all those who feel the need to breathe, to move freely, to re-connect or to recharge.It is a simple practice, which allows to unblock the energies and to return to the experience of balance and harmony.